Paid hosting for Witizens of Wirtland Network: Influence of global economic crisis? Wirtland.net, or Witizens of Wirtland (WoW) social network, has been hosted at Ning.com since 2008. In exchange for free hosting, Ning has been placing its Google Ads and its logo on WoW. All has been working rather well until now, when even Wirtland started to feel the consequences of global economic crisis. 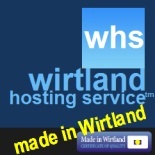 On May 4, 2010, our hosting provider discontinued free service for Wirtland, so we may face a need to introduce some kind of membership fee in the future. Ning's message to WoW network members reads: "We're focusing 100% on paying Ning Networks and will begin phasing out our free service in July". Wirtland.net has been completely free for witizens so far. Shall we introduce a membership fee for new members now? What about the old members? How much? Any other solutions? Wirtland invited its citizens to brainstorm this new situation. It was discussed at: http://witizens.ning.com/forum/topics/paid-hosting-for-witizens-of. Attention! 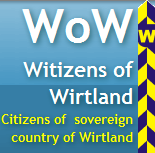 The address of Witizens of Wirtland is now www.Wirtland.net. W.o.W. is now hosted at grou.ps/witizens. The alternative witizens.grouply.com is still being tested. If you don't like something at grou.ps/witizens, please check the same function at witizens.grouply.com, and let us know at migration (at) wirtland.net.